ELIEN: MAD MAX CAR! The Toyo Tires Ferret. MAD MAX CAR! The Toyo Tires Ferret. Most of the time, when a tire manufacturer looks to create a show car for advertising its off-road tires, it slaps some big tires and wheels on a brightly-colored lifted truck, Jeep, or desert Prerunner. 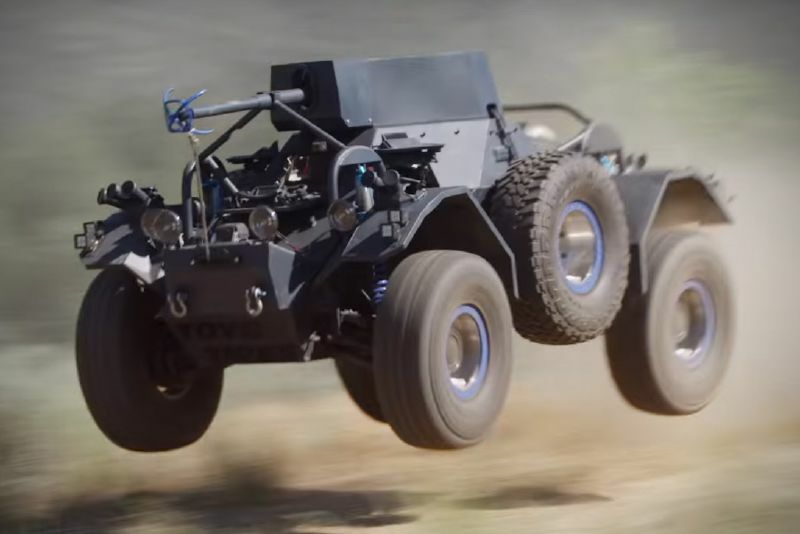 Apparently, someone in the marketing department over at Toyo Tires has quite the overactive imagination when it comes to marketing vehicles, as they commissioned an insane LS-powered 1959 Ferret armored six-wheeler. 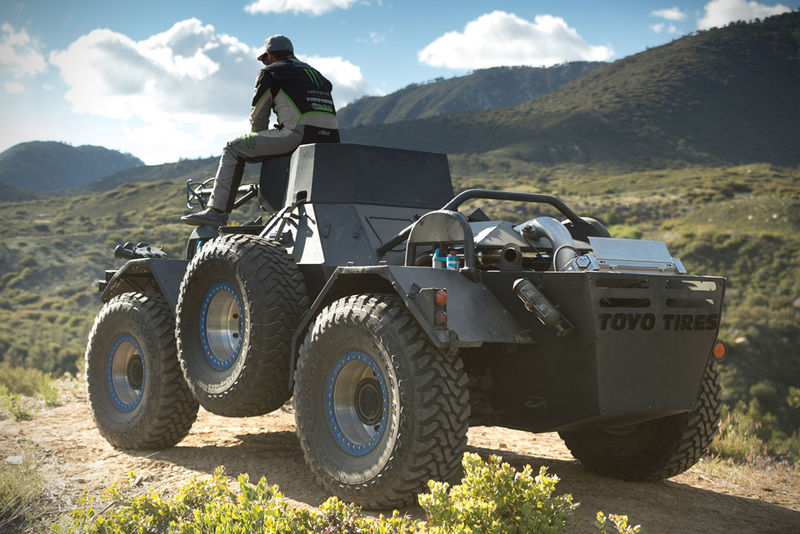 To help bring this off-road fever dream into reality, Toyo partnered up with Action Vehicles Engineering and restomodded the decrepit Ferret into the six-wheeled monster you see in the video below. Not many in-depth details are available, but from what we can see in the brief video, it’s been thoroughly modernized. Gone is the sickly 130-hp Rolls-Royce inline-six engine, replaced with a red-blooded LS V-8 powerhouse. Up top, the cannon turret attachment was replaced with a functional grappling hook winch contraption. Underneath, Action Vehicle Engineering says the chassis was modified to fit some seriously beefy King suspension bits. This provided clearance for the exceptionally large 39-inch Toyo Open Country tires. See those two tires mounted in the middle of the Ferret? Those are non-powered auxiliary tires which can be raised and lowered for an extra rubbery footprint on rough terrain. Of course, such an incredible rig deserves some serious talent behind the wheel. Toyo lent the Ferret to off-road racing maniac and several-time world champion BJ Baldwin for the video. Unsurprisingly, he does a great job flinging gravel and crunching dead logs with the mad Ferret. Check out BJ Baldwin’s stint in Toyo Tires’ 1959 Ferret below.